Some people are able to get cash refunds if they own shares. It's an issue that's seen senior Australians rise up in anger but has left most others completely confused and wondering, "what the hell are franking credits?". The franking credits argument has emerged as a controversial topic thanks mainly to a government inquiry. 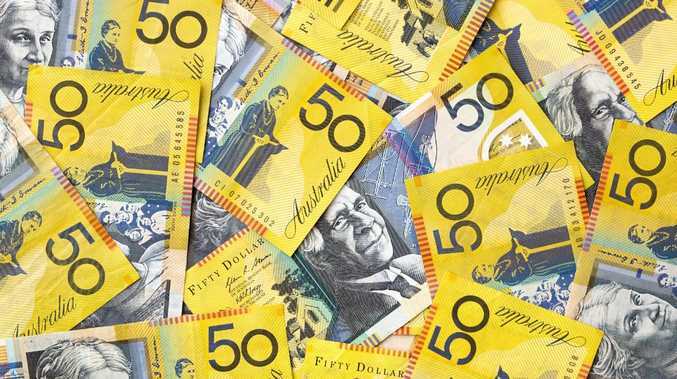 Labor has promised to get rid of cash refunds associated with franking credits if it wins the next election but the government has been attacking it in quite an unusual way. 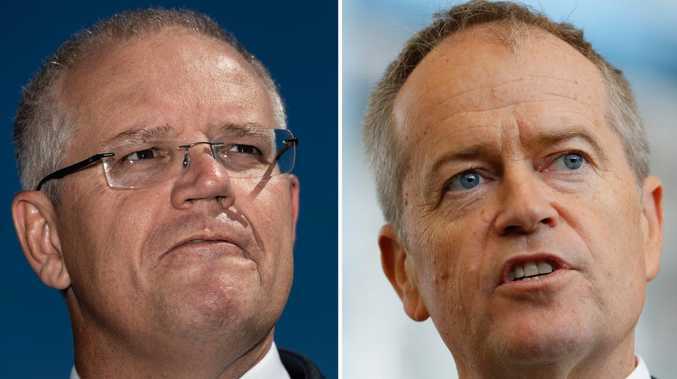 The Coalition announced last year a House of Representatives standing committee on economics would hold an inquiry into Labor's proposal, which is strange because government's don't generally hold inquiries into potential opposition policies. As part of the inquiry public hearings have been held across the country, but in another twist, there are no formal witnesses for most of these. Instead, members of the public are just given three minutes each to vent their feelings. 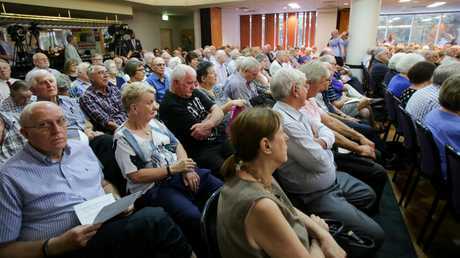 If you have seen photos of these hearings, most of the attendees appear to be older, self-funded, retired Australians as the changes are most likely to affect them. These attendees have also been asked to sign a petition against Labor's policy and have been given Liberal Party membership forms. If you're confused about what the fuss is all about, this how it all works. The franking credit refund policy basically benefits people most when they don't pay much tax but also own shares in companies. The logic behind the policy is that a company shouldn't be taxed on its profits twice. Companies have to pay tax on their profits just like every other business, but when the profits are distributed to shareholders as dividends, they are also taxed again. In order to address this problem, the Hawke Government in 1987 introduced a system that gave people a tax credit if they got dividends. These credits were known as franking credits or imputation credits. A shareholder could then use this credit to reduce the amount of tax they pay on their personal income, so the tax on the dividend would be effectively cancelled out. This is great if you earn a high amount of tax as it can reduce the amount paid. But the Howard Government took this one step further in 2001. Previously if the credit you were eligible for was higher than your tax bill, you didn't gain any extra benefit. This was changed so people could claim a cash refund for the extra amount. So even if someone pays no tax, they can claim a refund for all their franking credits. This is why it benefits self-funded retirees, because they are more likely to have lots of shares but also to have a low taxable income as they are no longer working and are not taxed on their superannuation income once they retire (for fund balances up to $1.6 million). Basically it helps to think of the franking credit issue in terms of whether people should be entitled to get cash refunds because they own shares and are not paying enough tax to claim all their credits. SHOULD WE STOP GIVING CASH REFUNDS? The policy to give cash refunds to people is estimated to cost the government about $5 billion a year. Labor wants to get rid of it but the Morrison government is attacking the policy saying it would hurt low-paid Australians. RMIT ABC Fact Check looked at this claim and found it misleading as having a low taxable income does not mean people are not wealthy, particularly if those people are retired. The Grattan Institute gave an example of how this could work in a recent submission to a House of Representatives inquiry into removing the refunds. "Take the example of a self-funded retiree couple with a $3.2 million super balance, plus their own home, and $200,000 in Australian shares held outside super. Even drawing $130,000 a year in superannuation income, and $15,000 a year in dividend income, they would report a combined taxable income of just $15,000 and pay no income tax whatsoever." Labor argues that Australia's policy to give cash refunds doesn't exist in any other country or for other types of tax credit. For example, you can't get a cash refund if you are eligible for the Low Income Tax Offset or the Seniors and Pensioners Tax Offset. In response to criticism that some pensioners would be hurt by the change, Labor introduced a "pensioner guarantee" that would cover about 320,000 low and middle income recipients. These pensioners will still be able to claim cash refunds. The party also introduced an exemption for self-managed superannuation funds that had at least one pensioner or allowance recipient before March 28, 2018. The exemption for pensioners has been estimated to cost about $300 million. Almost half of the money paid out in cash refunds went to self-managed super funds ($2.6 billion), according to the ABC. About $2.3 billion went to individuals, $700 million to tax exempt entities and $300 million to regulated super funds. Treasurer Josh Frydenberg told parliament on November 26 that someone with a self-managed super fund would be on average $12,000 worse off. "If you're an individual with these franking credits, you'll be $2200 a year worse off," Mr Frydenberg said. It's difficult to say exactly how wealthy the people are who claim franking credit refunds because information about how much retirees earn, what they own and what tax they pay is quite patchy. Regardless of whether the policy change is good or bad, Labor is finding it difficult to convince people they shouldn't get this extra cash, which can be quite substantial. If Mr Frydenberg is right, an individual could be taking on average, a $2000 hit per year. No wonder hundreds of self-funded retirees have flocked to meetings to vent their concerns about what the changes might mean for their incomes and the policy is shaping up to be an election battleground. Meeting at The Chatswood Club in regards to retirees protesting about Labor policy on franking credits. But Labor's Matt Thistlethwaite has come out swinging against the inquiry. Mr Thistlethwaite is furious a website about the committee inquiry, set up by chairman and Liberal MP Tim Wilson, had included a request for people to sign a Liberal Party petition against Labor's plan. "That is unethical, that is improper use of parliamentary resources," Mr Thistlethwaite said. The website uses the Australian coat of arms and says is it authorised by Mr Wilson in his capacity as committee chairman. Mr Thistlethwaite also savaged Liberal MP Andrew Wallace for handing out party membership application forms during a hearing on the Sunshine Coast. "That is an abuse of the parliamentary process," he said. "We should rightfully be using these inquiries to inquire into government policy and proposals. But they should not be used as an opportunity for the Liberal Party to recruit and to sign petitions." Mr Wilson accused the opposition of attacking the inquiry and trying to shut it down. He claimed including the Liberal Party petition as a "required field" on the committee's website was an administrative error. "There was a tick box somebody coded in which put the wrong requirement - that has been removed," he said. "But the key point is that we're providing people with an opportunity to be able to provide their views and issues on this particular policy, because people have a right to be able to do so." Labor's financial services spokeswoman Clare O'Neil accused the Liberals of shamelessly politicising the process. "I am disgusted with the way the Liberals are abusing parliamentary process in order to essentially corral support for a policy that they don't particularly like," Ms O'Neil told reporters in Canberra.